When a person has a stroke, the best treatment (both acute therapy, and therapy to prevent another stroke) depends on what produced the stroke. So it is critically important for doctors to pin down the underlying cause of any stroke. Unfortunately, up to 40 percent of Americans who have a stroke end up with the classification of cryptogenic stroke, which means that even after a complete medical evaluation the cause of their stroke remains unknown. Without knowing the cause, the optimal treatment of their stroke can only be based on guesswork. For several years researchers have been attempting to understand which medical conditions are most likely to cause strokes without leaving a clear footprint, that is, which medical conditions are most likely to produce cryptogenic strokes. The two culprits that have drawn the most attention are patent foramen ovale (PFO) and atrial fibrillation. Deciding whether a PFO is likely to be the cause of a cryptogenic stroke has proven difficult and controversial. Less controversial is the danger posed by atrial fibrillation. Stroke, the most dreaded complication of atrial fibrillation, is all too frequent in patients who have this arrhythmia. And it now appears that atrial fibrillation may be a much more common cause of cryptogenic stroke than we previously realized. 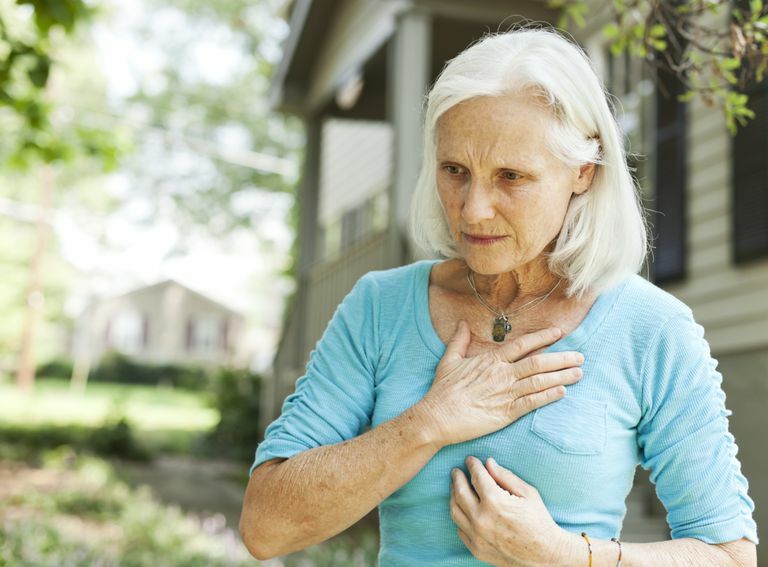 While it frequently causes significant symptoms (such as palpitations and lightheadedness), episodes of atrial fibrillation can also occur without producing any symptoms whatsoever. In these cases, neither the patient nor the doctor may have any idea that atrial fibrillation is occurring. It is now becoming increasingly clear that such episodes of “subclinical” (that is, unrecognized) atrial fibrillation are an important cause of cryptogenic stroke. The CRYSTAL-AF study, which attempted to measure how often subclinical atrial fibrillation might be responsible for cryptogenic strokes, looked at 414 people who had previous cryptogenic strokes. Investigators implanted a small, subcutaneous cardiac monitor—the Reveal device (Medtronic, Inc.)—in them which can monitor a person’s heart rhythm for up to three years. By the end of the study, 30 percent of the patients with implanted cardiac monitors turned out to have episodes of previously unsuspected atrial fibrillation. In contrast, in a control group of 220 patients whose cryptogenic strokes were evaluated without such long-term cardiac monitoring, episodes of atrial fibrillation were identified in less than two percent. This study certainly does not prove that atrial fibrillation was responsible for the cryptogenic strokes in all these patients, nor does it prove that using anti-clotting drugs would improve their outcomes. Long-term randomized outcome trials will be necessary to definitively demonstrate these things. But we do know that people with cryptogenic stroke have a high risk of recurrent stroke, that atrial fibrillation greatly increases the risk of stroke, and that anti-clotting therapy greatly reduces the risk of stroke in atrial fibrillation. With these facts in mind, 97 percent of the patients in the CRYSTAL-AF study who were identified as having subclinical atrial fibrillation were placed on anti-clotting drugs by their doctors. Based on what we know today, long-term cardiac monitoring ought to be at least considered in patients who have had a cryptogenic stroke, especially if their doctors would change their treatment recommendation based on the outcome of such monitoring. Long-term cardiac monitoring is quite feasible in routine clinical practice. Wearable cardiac monitors can now be used for up to 30 days, a duration of monitoring that has been shown to identify a substantial proportion of patients with subclinical atrial fibrillation. And long-term implantable cardiac monitors—the ones used in the CRYSTAL-AF study as well as very tiny “next generation” models—are available for clinical use. If you or a loved one has had a cryptogenic stroke, and if your doctor would change your therapy depending on whether or not atrial fibrillation is diagnosed, then you should talk to the doctor about the possibility of long-term cardiac monitoring. Results of the CRYSTAL-AF Trial. International Stroke Conference (ISC) 2014. Abstract LB11. Presented February 14, 2014. Liao J, Khalid Z, Scallan C, et al. Noninvasive cardiac monitoring for detecting paroxysmal atrial fibrillation or flutter after acute ischemic stroke: a systematic review. Stroke 2007; 38:2935. Hylek EM, Go AS, Chang Y, et al. Effect of intensity of oral anticoagulation on stroke severity and mortality in atrial fibrillation. N Engl J Med 2003; 349:1019. How Do Doctors Find the Cause of a Cryptogenic Stroke? Does Being Religious Affect Your Stroke Risk? When Does an Unborn Baby Have a Stroke?